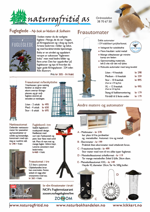 Detaljert stedsguide for å oppleve Etiopias natur og fugleliv. Interested in seeing some of Africa’s most incredible endemic birds, from Stresemann’s Bush-Crow and Prince Ruspoli’s Turaco to Rouget’s Rail and Spot-breasted Lapwing? What about the rugged mountains of the ‘roof of Africa’, the continent’s most extensive highland forests, endless bird-rich savannas, and some of Africa’s most spectacular archaeological sites? If so, then Ethiopia is your destination, and this book will guide you to the best birding sites in this remarkable country. A far cry from the dull, text-heavy bird-finding guides of the past, this book is copiously illustrated with over 110 spectacular photos that show the region’s sweeping landscapes and unique birds. Even someone with no interest in travel will enjoy this glimpse into the ancient world of Abyssinia and its mysterious endemic birds. There are dozens of maps, with parallel icons making reference to the text convenient. A section on the specialties of Ethiopia helps in planning a trip, and a complete, indexed list of the country’s birds, will aid in tracking your sightings once you arrive in the country.